2 x Amber side marker LED clearance lights, each light with 6 LEDs inside; Snap-on, replaceable, durable lens. Function as clearance Lamps, side marker or identification light,Trailer Light etc. Universal for 12V vehicles like Pickups Truck Trailers SUV van Caravan and Boat Lorry Bus etc. Features sonically sealed, waterproof lens and housing in a single unit; Two-wire design includes both lead wire and ground wire for mounting to all surfaces. 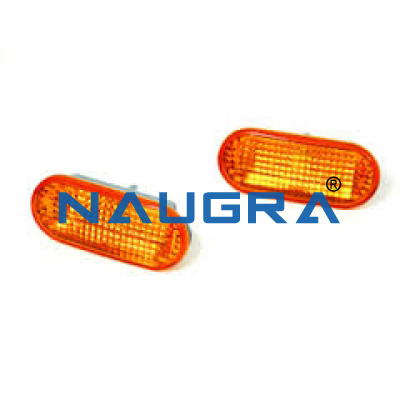 We are leading manufacturers, suppliers & exporters of Side marker lights. Contact us to get high quality designed Side marker lights for schools, colleges, universities, research labs, laboratories and various industries. We accept bulk orders for government tenders in all countries around the globe.